Jocko Willink, the Chief Executive Officer and co-founder of Echelon Front is a renowned American retired Navy SEAL officer who has been decorated with Silver Star and Bronze Star for the unequivocal service he rendered during the Iraq war. As a result of his unique leadership ability and courage, he was made the Commander of SEAL Team 3 Task Unit Bruiser during the Ramadi battle in Iraq. Willink has moved on after his retirement from the Navy SEAL to create a self-titled podcast show, The Jocko Podcast, along with his friend Echo Charles. He has also penned down his leadership skills and principles together with his former US Navy SEAL fellow, Leif Babin, in the New York best-selling book titled Extreme Leadership: How US Navy SEALs Lead and Win. Read on to find out other interesting facts about the CEO of Echelon Front. The notable retired US Navy SEAL officer was born on the 8th of September 1971 in Torrington, Connecticut, New England. Willink has not disclosed much about his life, as such, details of his childhood and parents are not known. However, it is known that he has two siblings and was a member of his high school soccer team. More so, he acquired a Bachelor degree from the University of San Diego in 2003. Jocko Willink was successfully enlisted into the United States Navy in the year 1990. After his recruitment, he underwent a series of training including the Navy recruit training, Radioman (RM) “A” school training, and Basic Underwater Demolition/SEAL (BUD/S) training. Interestingly, he was among the SEAL team that captured Russian Tanker Volga-Neft-147 that was carrying Iraqi oil which breached a U.N economic embargo. As a result of his unique leadership qualities and passion for success, he was made a commander of Task Unit Bruiser of the SEAL Team 3 in 2006, during the Operation Iraqi Freedom in Ramadi, Iraq. During his time in the U.S Navy SEAL, he served as an instructor and also a platoon commander. Jocko was deployed to continents like Europe, Asia, and the Middle East. After rendering an impressive 20 years of service in the Navy SEAL, Jocko Willink retired in October 2010, with numerous awards and decorations to his name. Most notably, he received the Navy and Marine Corps Commendation Medal with gold award star. Soon after his retirement, the former SEAL commander opened a training/fitness center called Victory MMA and Fitness; a mixed martial art gym where he mostly trains professional fighters like boxers and wrestlers. In view of this, he has achieved a black belt from Dean Lister as a Brazilian Jiu-jitsu practitioner. A few years later, he founded Echelon Front company along with his former Navy SEAL fellow, Leif Babin. They offer practical help to complex issues emanating from their leadership training and experience. As stated earlier, the pair went on to make a book out of their US Navy career. 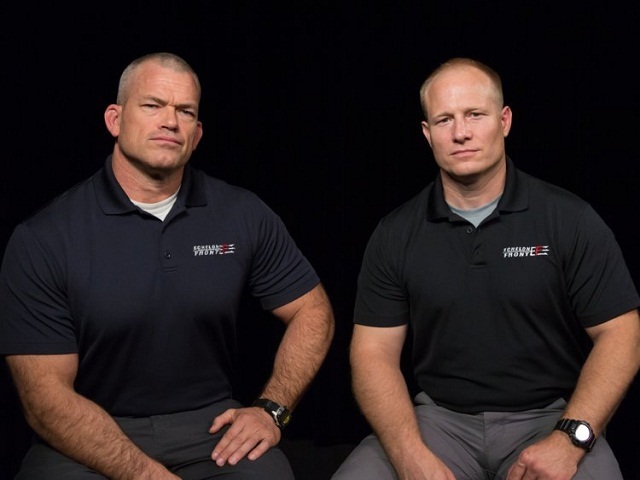 On 22nd December 2015, Jocko Willink kicked off his self-titled weekly podcast, The Jocko Podcast, along with his friend Echo Charles. Considering the huge number of fans he has gained from this endeavor, it is quite evident that the retired United States Navy SEAL officer has a strong passion for success which has inspired him to achieve several remarkable feats in his post-Navy career. Apart from what he has earned during his 20 years of service in the US Navy SEAL, Jocko Willink has also done well for himself through his careers as an author, fitness trainer, and a podcaster, with the latter generating hundreds of thousands of YouTube views. With all these, the renowned author has been able to garner an estimated net worth of $3 million. The famous podcaster is probably among those celebrities who enjoy striking a balance between their personal and professional life. Jocko Willink has been married for close to 20 years to his life partner, Helen Willink. The couple has gone ahead to welcome four children of their own, whose identities are not known. The co-founder of Echelon Front has an incredible and somewhat fearful physique which he built through his everyday routine exercise. He stands at a height of 5 feet 11 inches (1.8 m) and has a body weight of about 81 kg (180 lb).